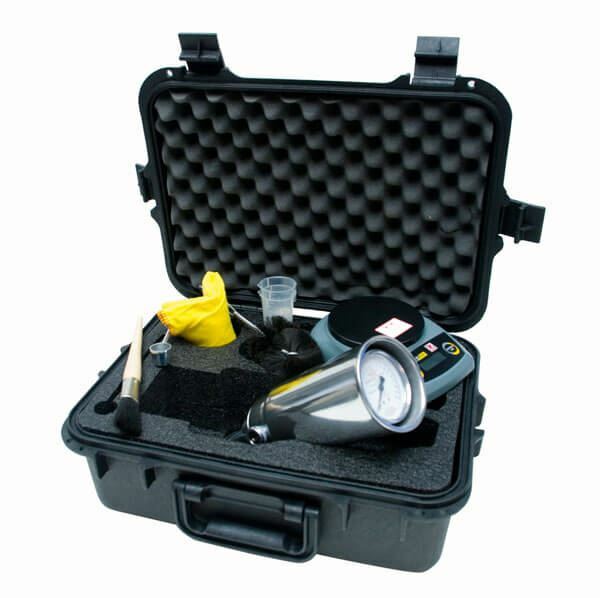 Speedy 2000 Moisture Testers are widely used for rapid, accurate, and reliable moisture tests on materials such as sand, aggregates, ores, coal, soils, ceramics, abrasives, and other powders. The testers are portable, easy to use and do not require a power supply. Samples can be tested on-site in minutes, eliminating the risk of moisture loss during transport. 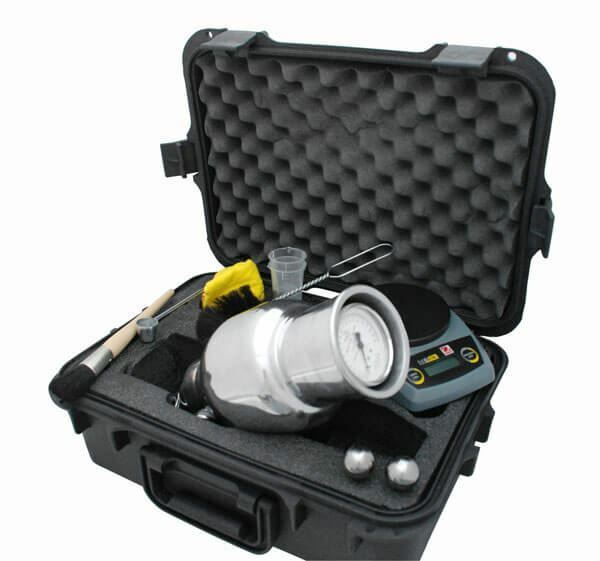 The Gilson Speedy 2000 testers are available in four different models based on particle size, percent moisture range and desired gauge accuracy, and each comes in a kit that contains other related products needed for moisture testing. MA-20A and MA-21A Standard units are used for sand, grains, clays and fine powders. 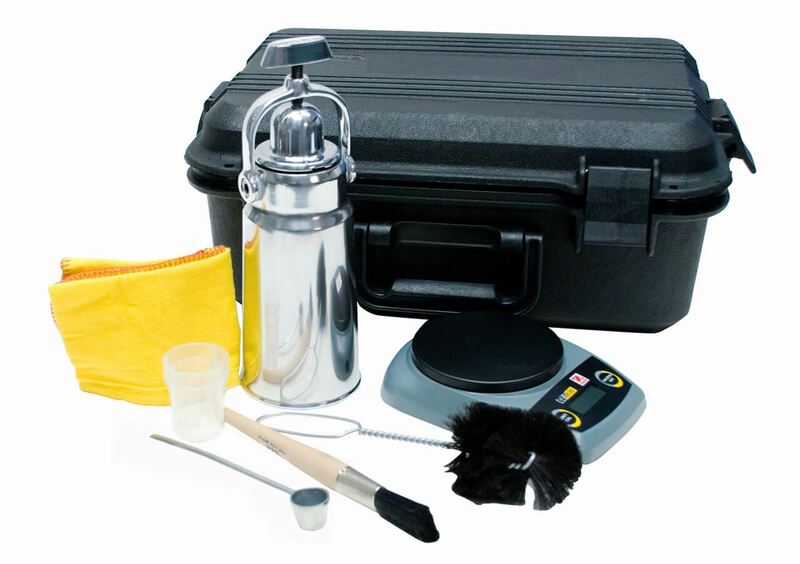 The kits include a standard moisture tester, electronic digital balance, reagent measuring scoop, brush, cleaning cloth and instructions, all housed in a heavy-duty, waterproof plastic case. MA-20A has a moisture range of 0-10% x 0.1% and is used with 12g specimens, while MA-21A has a moisture range of 0-20% x 0.2% and a specimen weight of 6g. MA-25 and 25C Large Speedy Moisture Testers are designed for testing soils, aggregates, coal and ores with particle sizes up to 20mm. MA-25 has a dial gauge with a moisture range of 0-20% x 0.2% and is for use with a specimen weight of 20g in accordance with ASTM standards. MA-25C has a dial gauge with moisture range of 0-50% x 0.5%, and accommodates an 8g sample, but does not meet ASTM standards. 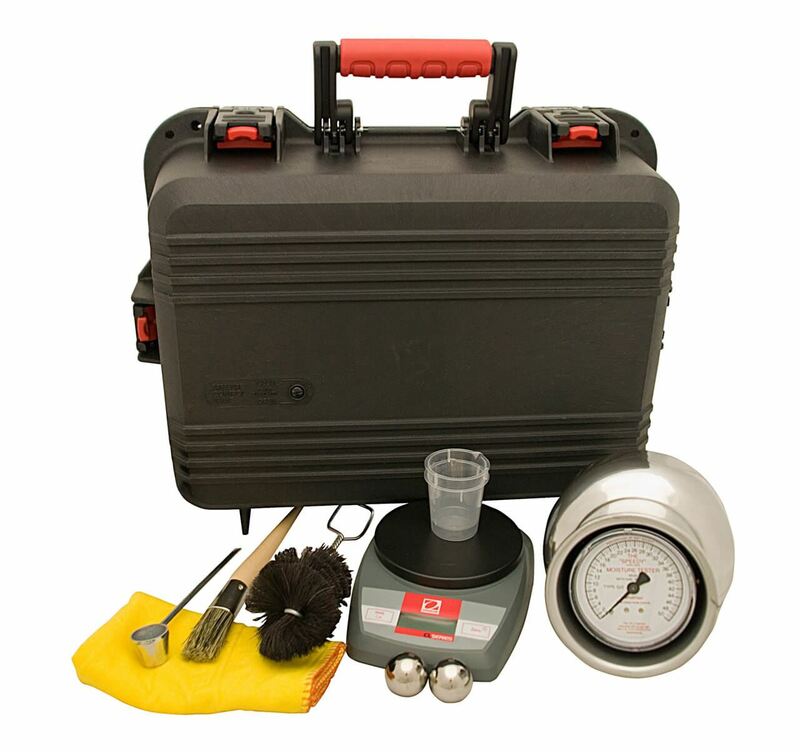 In addition to a large moisture tester and the other products listed above with the standard units, the MA-25 model kits also come with two MAA-47 steel balls for pulverizing the specimens. Moisture ranges can be doubled for all models by using 1/2 specimen weight and multiplying gauge reading by two. 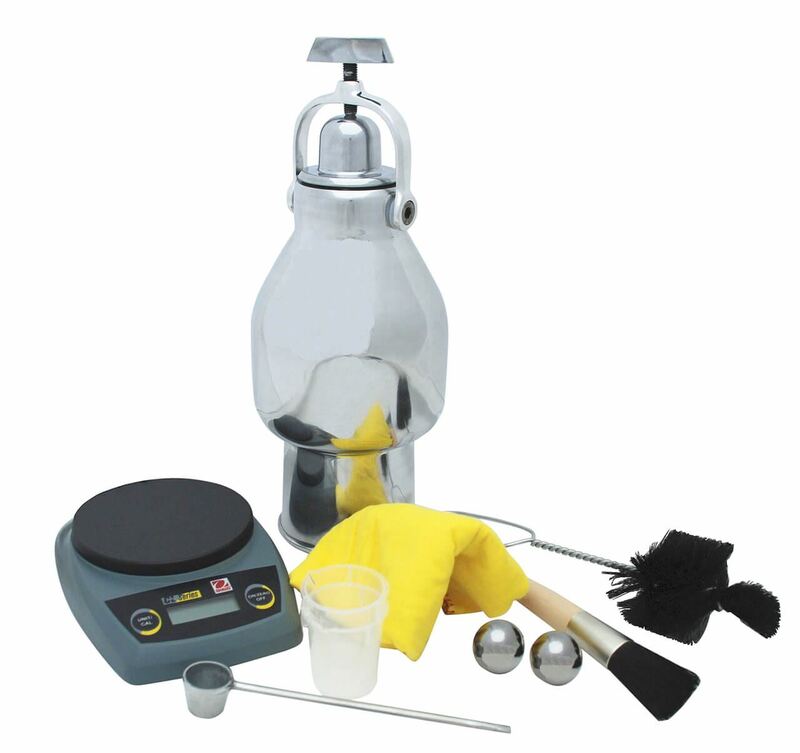 All units have a tough, die-cast polished aluminum body (pressure chamber) with integral dial. 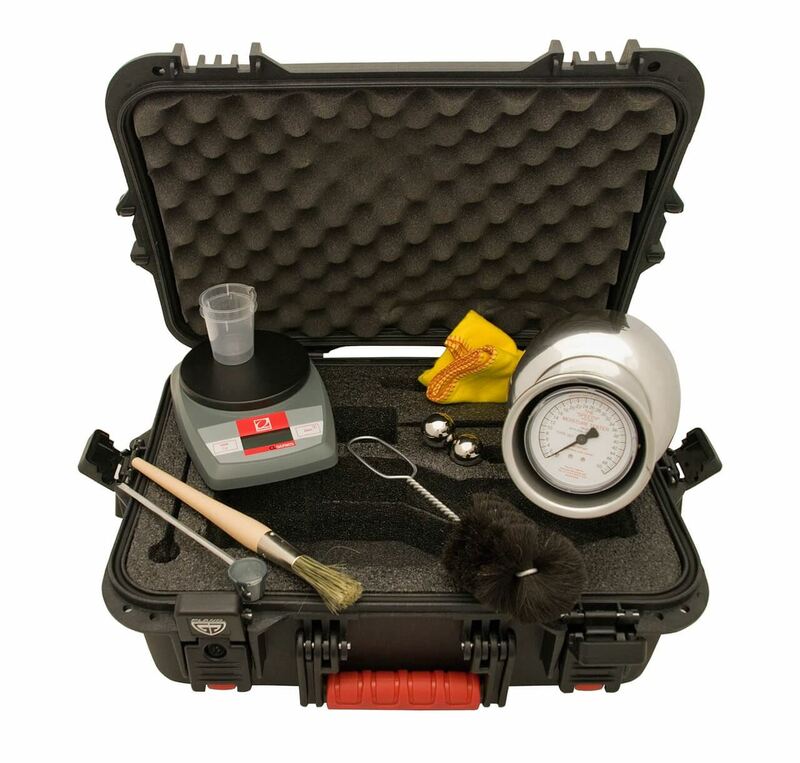 Place a weighed sample in the tester with measured quantity of MAA-44 Calcium Carbide Reagent, sold separately, and seal with cap. Upon agitation, free moisture in test sample reacts with calcium carbonate to form acetylene gas. Pressure gauge reads directly in percent moisture by weight within 1—3 minutes.